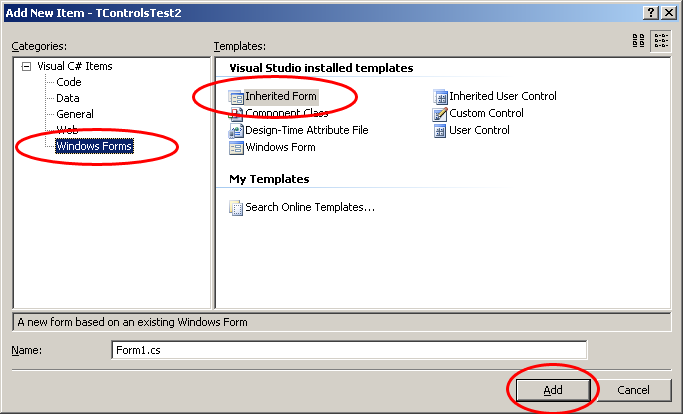 The first thing we’re going to do with the created project is to substitute the form that Visual Studio created for us (Form1) with TForm which is also part of TransparentControls (although it did not appear in the toolbox which is correct). 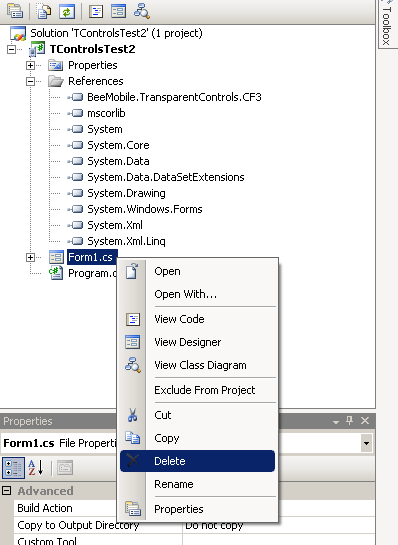 Right-click the Form1.cs in solution explorer and select Delete from the context menu that appeared. 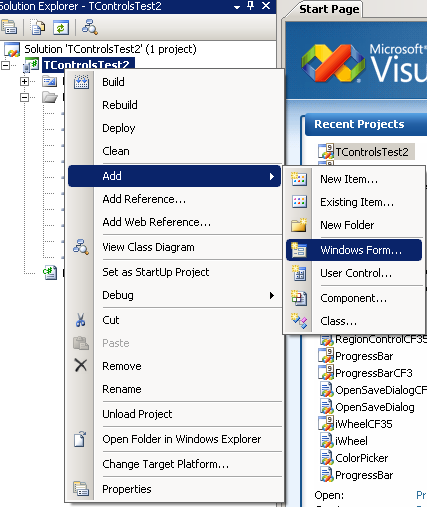 Right-click the project in solution explorer and choose Add->Windows Form… from the context menu that appeared. Inheritence Picker dialog box appears. Just click on “Browse” button and browse to the folder you installed Bee Mobile iPack into (by default: c:\program files (x86)\Bee Mobile\iPack\). 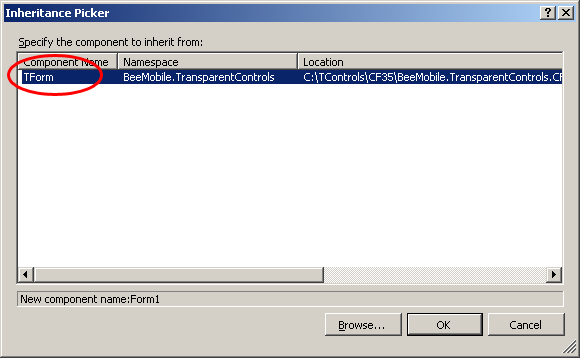 Navigate to either ‘Bee Mobile Controls CF20′ or ‘Bee Mobile Controls CF35′ folder (depending on which platform you chose to develop for, in our case CF35) and double click the “BeeMobile.TransparentControls.CF3.dll” file (or “BeeMobile.TransparentControls.CF2.dll” if you chose to develop for .NET CF 2.0). 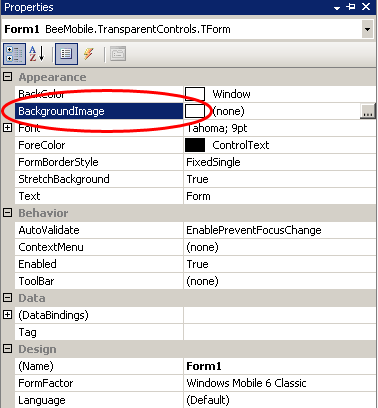 Change the “Menu” property of TForm to (none) and “WindowState” property to Maximized. Now the upper and lower stripes of the form disappeared and the image can take the advantage of the whole display. 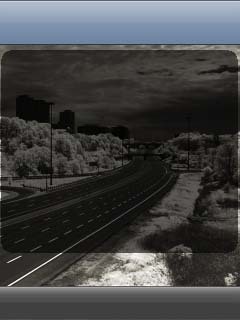 This concludes the tutorial on TransparentControls. You are welcome to leave us a feedback by writing to: support@beemobile4.net. Thank you.